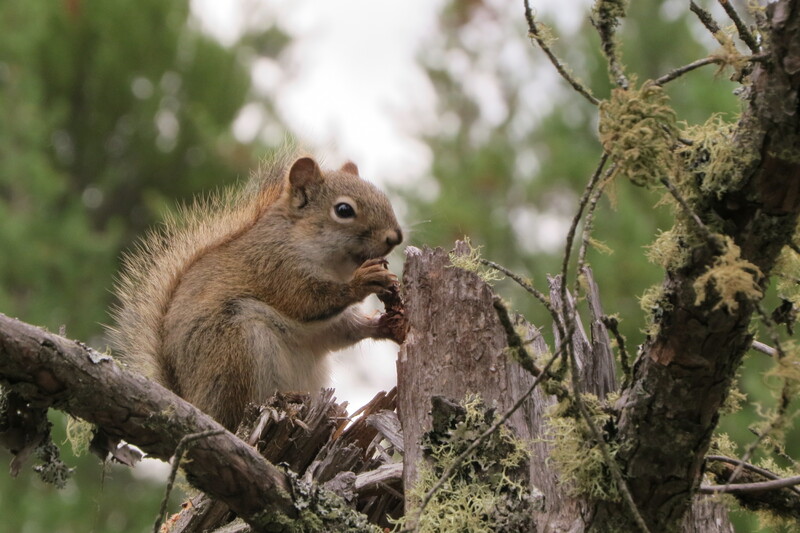 Last week, my parents and I headed up to Moose Lake to pick up my brothers from 4H camp. 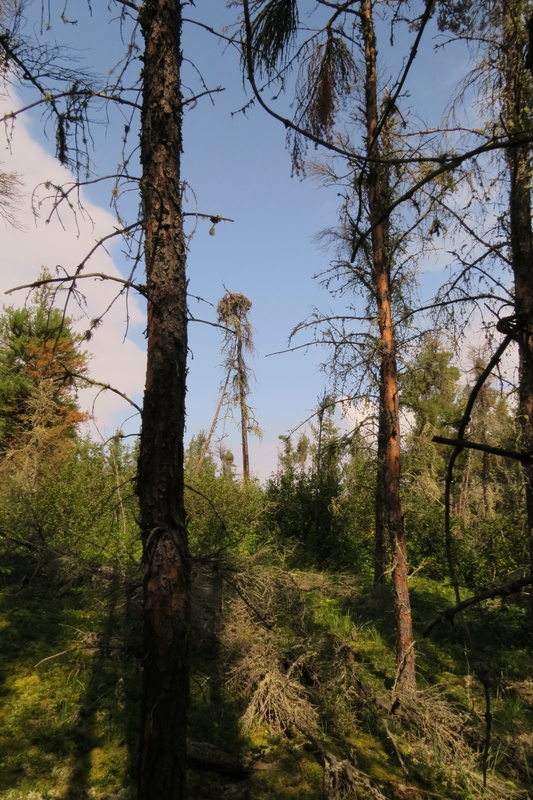 The landscape around the lake is quite different from home as the lake area is part of the northern boreal forest. 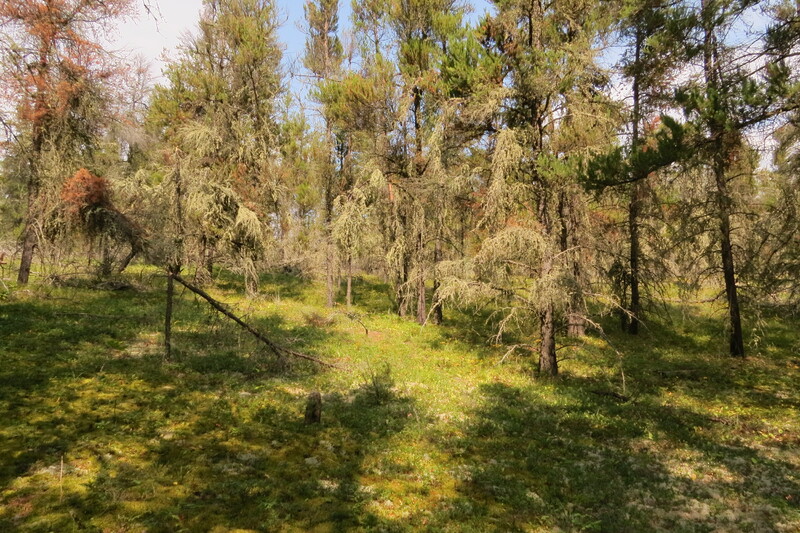 The habitat around the lake includes paper birch, poplars, jack pines, white spruce, sand dunes, and lots of wild blueberries! There were quite a few of other berry pickers in the woods, but there were lots of berries go around. My family picked three ice cream pails of blueberries and so far, my mom has made jam, and a blueberry crumb cake, and I made blueberry-cream muffins. There was a flock of Black-capped Chickadees and Yellow-rumped Warblers feeding in the the pines. There were also a few small songbirds mixed in with the chickadees and Yellow-rumped Warblers that I wasn’t able to identify as they were difficult to see in the trees. 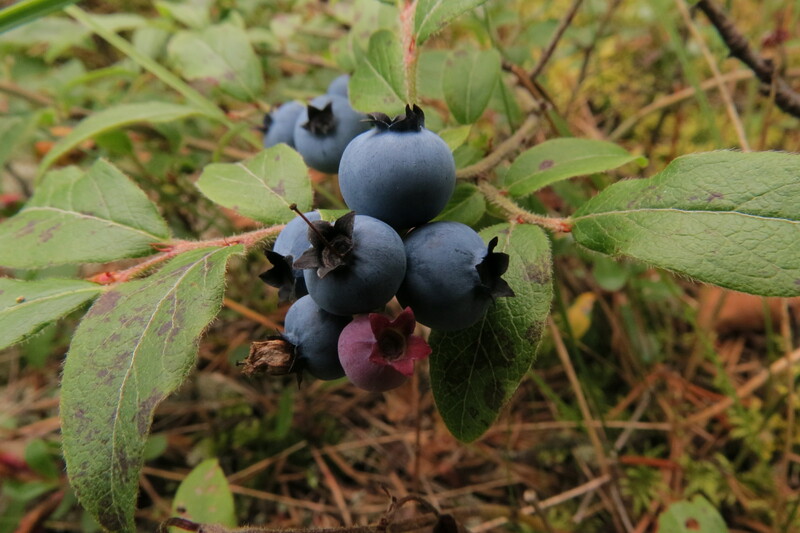 Here’s my eBird checklist from our adventure of blueberry picking. 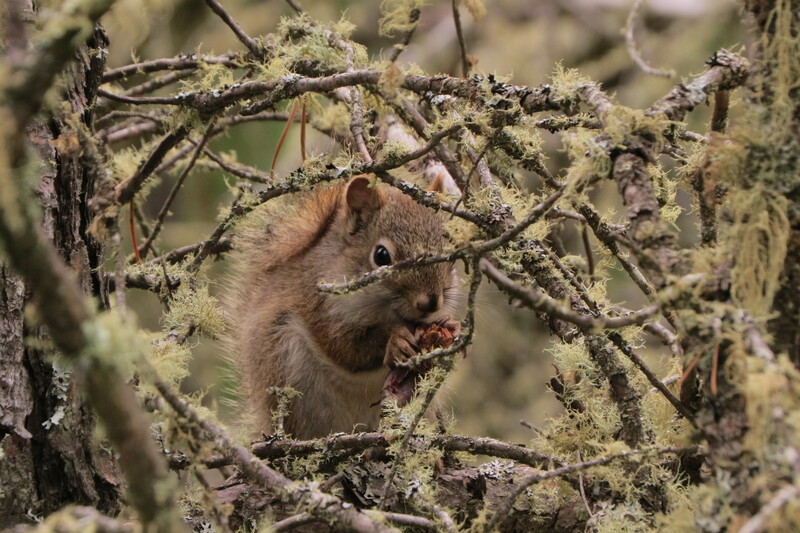 This entry was posted in Alberta Animals, Alberta Birds, Birding, Birding Trips, Blogging, Canada Birds, General Birding, Nature, Nests and eggs, Photography, Summer and tagged Blueberries, Dark-eyed Junco, Moose Lake, Nest, Osprey, Squirrel. Bookmark the permalink. 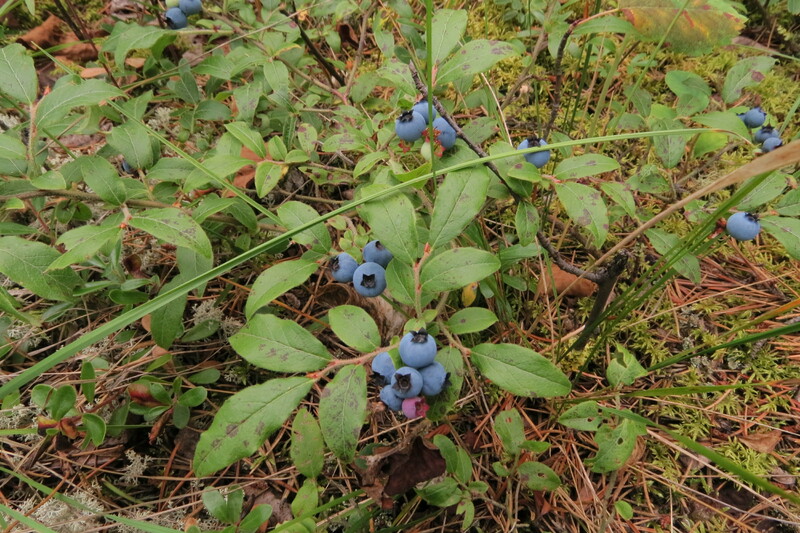 Those look like nice sized blueberries, but while we were in the Whiteshell, you could reach down and pick up a handful, it was crazy. My Grandpa who has a cottage out there said it was the best year for blueberries. 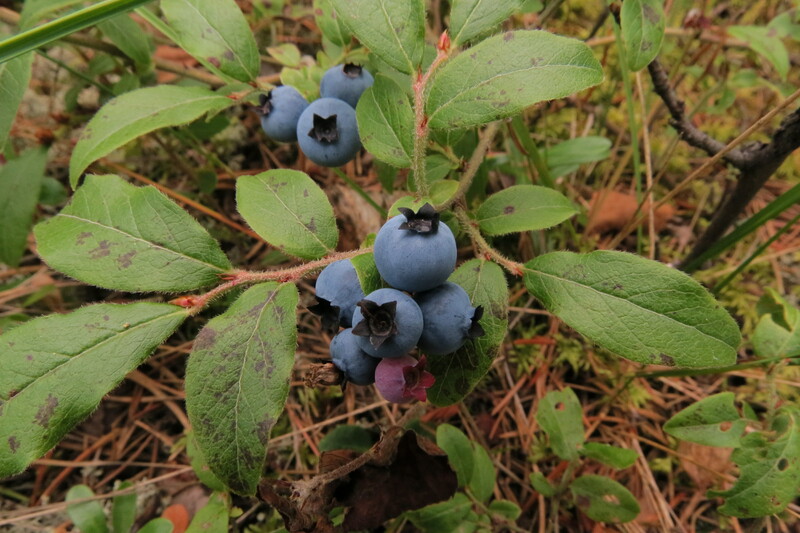 There are like four blueberries on the plants in your picture, There would be 40 on one plant in the whiteshell. Blueberries were everywhere! We walked past bushes and bushes loaded with blueberries, trying to find the best spot. It was hard to believe how many there were. Were all the bushes like that? With that few on? How long did it take for you to pick a bucket? We were out picking with nine people and we picked four buckets and two sweatshirt fulls, in not more than 1 hour and a half. My little sister baked a pie. But most of the other blueberries we picked we just ate them plain or with oatmeal or something. We ate a whole pale in just a few hours. Some bushes had more berries than others with the average amount of berries on a bush being around 20. It took the five of us 1 hour to pick the three pails. The pie your sister made sounds very good! 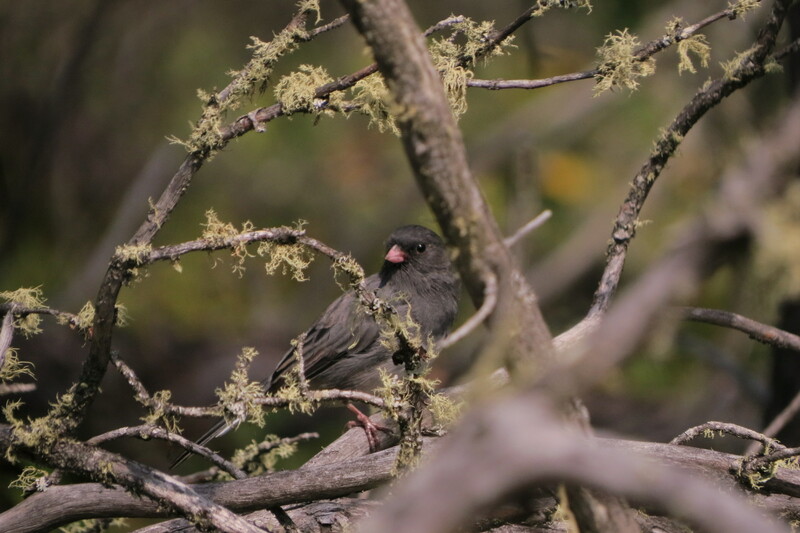 Great pic of the junco, too! Charlotte, I love those blueberry pictures. Your knowledge of the nature around you astounds me! 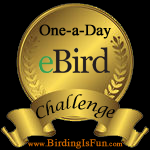 How happy I am that you eBird! How did you link to that checklist? I would love to be able to do that instead of always typing it out! Congrats on your year list and adding the ospreys! We have them here as well but soon they will be migrating south for the winter. I saw them all over Florida when I was there at the end of February! Great pictures, Charlotte! 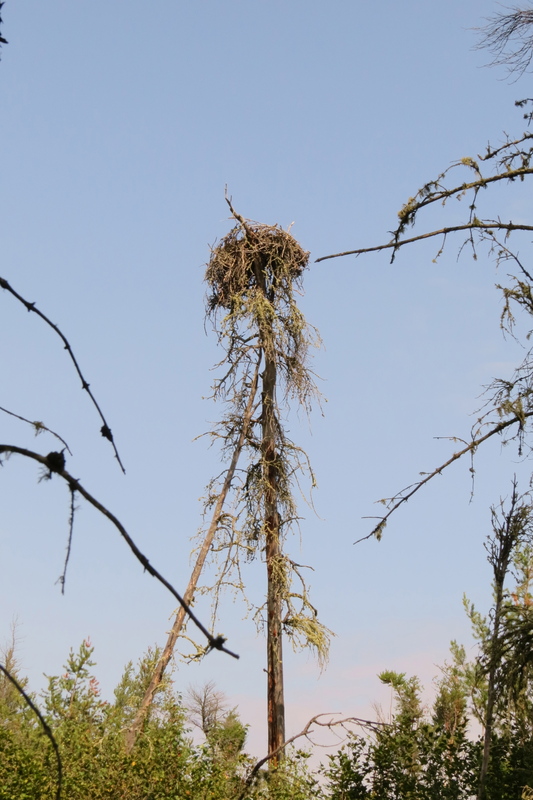 Are Osprey nests always that huge? 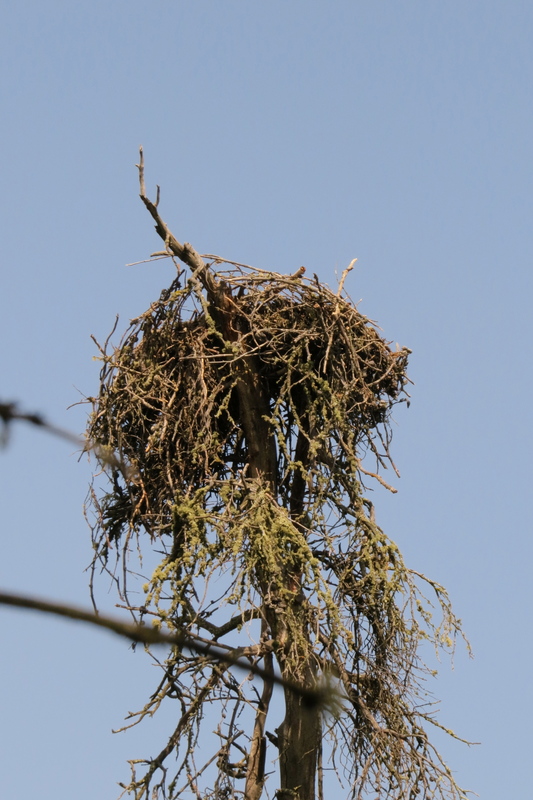 I’ve seen Ospreys but never their nests.